Galton Fine Art is an online space exhibiting the work of Jeremy Galton and Tim Galton (father and son), and other twentieth century and contemporary names. We welcome you to get in touch if you have an interest in any work on the site. If you are in the London area, we can arrange for you to view actual works, either by visiting us, or within the privacy of your own home. For elsewhere in the world, we are able to package and send paintings internationally. We really hope you enjoy what we have to show. Jeremy Galton is best known for his still lifes, completed with meticulous attention to colour and drawing. For him, the beauty of still life painting lies in the means by which the artist draws our attention to even the most banal objects, things we have all seen but never really looked at before. His approach considers the particularities of his subject matter, where the results are not generalised transcriptions of any piece of fruit, or any flower petal, but recreations of exactly those that existed in front of him when painting. In this way, his work allows for extreme scrutiny, where closer observation of his pictures only reveals detail previously unnoticed. 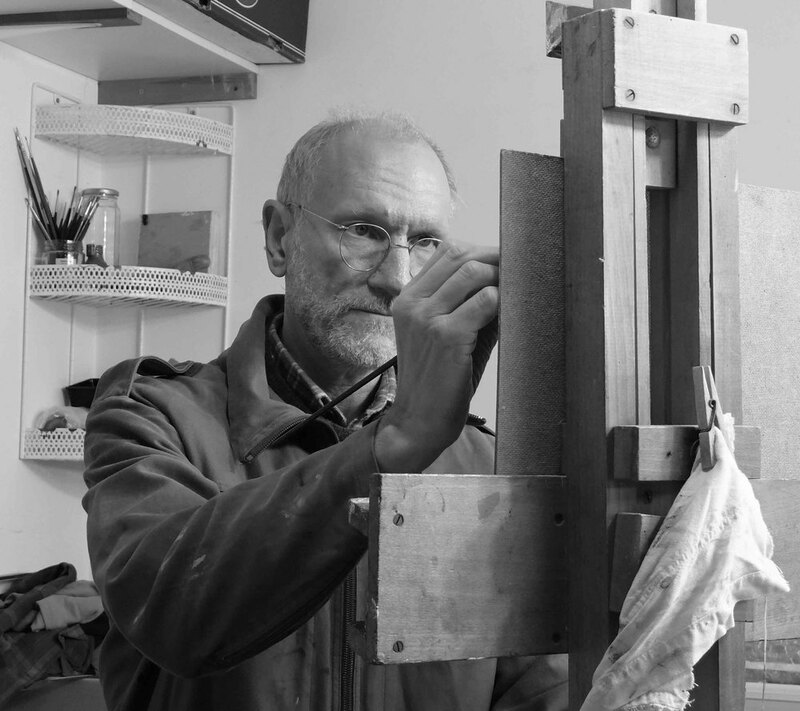 Jeremy was originally encouraged to take up painting by Anthony Green and Sir Kyffin Williams. He studied Fine Art at the City and Guilds of London School of Art under Rodney Burn, Bernard Dunstan and Diana Armfield among others. He has held a number of one-man exhibitions and his work is continually viewable in group shows in galleries across the country. He is the author of five art books including the best-selling Encyclopedia of Oil Painting Techniques which has been in print since 1991. As a member of the Royal Society of British Artists (RBA) he exhibits at the Mall Galleries in London on an annual basis. He has won numerous awards and his paintings feature in a large number of international private collections including those of a number of well-known corporate clients. Tim Galton had started to work in oils by the age of 12, and apart from what he learnt growing up next to his father en plein air, he is largely self-taught. His main focus is landscape. He works on location, where the record left on the canvas is a direct response to how nature presented itself at the time of painting. He is interested in the role that chance has to play in the creative process. He strives to construct pictures which, in part, rely on serendipitous marks that possess qualities pertaining to the truth at the same time as clearly being made of paint. It is these marks, made through gestural immediacy, that aim to describe the material nature of the landscapes he works in. The whole process is achieved through the use of a range of palette knives that sculpt and smear their way across his canvas. Since 2010, Tim has had paintings selected every year for the annual exhibitions of the major societies including the Royal Institute of Oil Painters, the New English Art Club, and the Royal Society of British Artists. During 2015 he featured on Sky Landscape Artist of the Year and won the Vivis Memorial Award at the Royal Society of British Artists. He has completed a number of commissions and his work can be found in various English collections. His formal education was completed at the University of Cambridge, from where he holds a first class degree in Natural Sciences. If you can see in his work a love for nature, and all its raw, organic elements, then he has got some way to achieving what he sets out to do.